Antivirus software is without a doubt one of the most important pieces of software for your Mac or Windows PC. In fact, it probably is the most important thing to get right! In this article FileHippo will take a deep look into why that is the case. Of course, for some of you it may sound like we’re stating the obvious – but you’d be surprised how many people snub this vital software. We will provide the ultimate guide to antivirus software, answering commonly asked questions along the way. We’ve done a lot on this in the past, as our most avid readers will know. So, we’ll also be linking back to some of our best-read antivirus articles too! What are we going to cover? Well, first we’ll explain what antivirus software does and how it protects your computer. Then we’ll look at whether antivirus is actually a necessity (Spoiler alert; it definitely is…) and if a paid option would be more advantageous. To be clear; antivirus software is essential for PC Windows & Mac security. To conclude we’ll wrap up by discussing the current best antivirus options for Mac and Windows users. But as we said, we’ll be signposting you to other great content along the way too – so no stone will be left unturned! So, without further ado, here’s why antivirus software is not to be ignored! Let’s get this one out of the way first! Simply put, antivirus software works to protect your Mac, PC and other devices against all sorts of threats. Not that we want to scare you, but these threats will be lurking each time you access the internet. The most common examples of which include malware, viruses and spyware. To be clear, you don’t want to get on the wrong side of these! So, that’s where antivirus software comes in! It helps you to stay safe online, giving you that priceless peace of mind. These days ‘antivirus’ is a catch-all word for a tool that protects your computer and your precious data from all of these potential pitfalls. In fact, actual viruses are the least of your worries, since they lay low to avoid detection. There’s a whole host of other malware ready to perform malicious acts – from deleting files and accessing personal data – to using your computer to attack other computers. Want to be more clued up on all of the threats that antivirus software is up against? If so, check out our Beginner’s Guide to Malware, Viruses and Spyware. How does antivirus protect your computer? 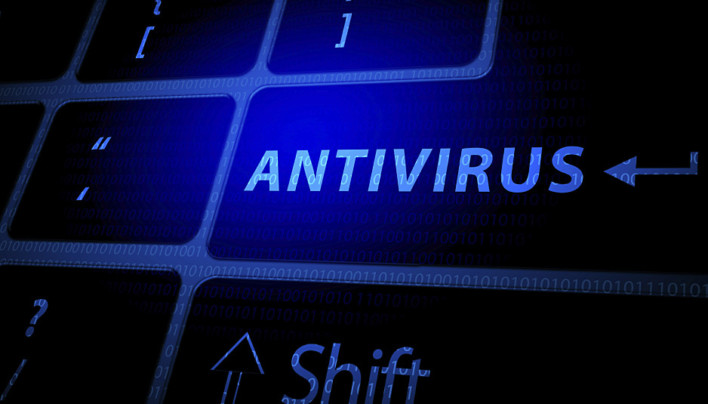 The best antivirus software will conduct full system scans and deal with threats accordingly. All program files that enter your system will be part of this, and you can choose how deep you wish to scan. Of course, many products may differ. But most follow this simple and recognised practice. If files match the signatures that are classified as threats, they will effectively be blacklisted. Simply put, recognised files would be allowed to continue whereas anomalies would be flagged up, even if they’re not 100% certain to be a virus. Those flagged up files that the user knows about and trusts can still run with permission, when added to a whitelist. But of course it’s better to be safe than sorry, especially in the cyber world! Likewise, background scanning will take place to make sure your browsing is also as safe as possible. Do I need antivirus software for my Mac or Windows PC? We’ve probably already answered this one. But, to remove any shred of doubt, of course you do! It’s a scary cyber world out there. You can’t afford to be complacent, no matter who you are. Remember no one is safe, from a well-loved celebrity to a giant tech company, anyone can be brought to their knees by a huge DDoS attack. Nowadays even us average Joes (and Josephines), are subject to an onslaught of trojans, botnets, worms, ransomware, rootkits, rogue security software, and all manner of generally malicious software. ‘Whenever antivirus software is mentioned, someone always seems to chime up and say they don’t need an antivirus because they’re careful. This isn’t true. No matter how smart think you are, you can still benefit from an antivirus on Windows. The bottom line is this. The risks posed by malware are only going to increase. With such a wide range of free, and paid, antivirus solutions available, which take just seconds to download, why wouldn’t you protect your computer, your personal data and the wider digital community? On the whole, it’s probably a decent move to opt for a paid option – but hear us out! There are scores of brilliant free antivirus options out there, don’t get us wrong, and they are more than capable of protecting you from a majority of threats. However, this is likely a case of getting what you pay for and it may be worth upgrading to a paid option. We’ve discussed the ‘Should You Pay for Antivirus’ debate at length before, but we’ll summarise the argument here. Basically, if you change to a premium antivirus package, you can enjoy a whole load of extra features on top of those you presently receive. This will likely mean your service will be Ad Free, it can also deliver additional privacy. Paid options will likely have better ransomware protection. Unfortunately, ransomware has emerged as big business among criminal empires. It involves using malware to encrypt or obtain files from the target’s machine and then refuse to release them if a ransom is not paid. Or indeed threaten to release them publicly! Additional protection can prevent untrusted software from making changes to your files, and thus keep them from the clutches of hackers. It’s probably still best not to go clicking random email links, however, no matter how desperate that Nigerian prince sounds. Automatic updates are more common place with paid software too, and more regular. Obviously, it’s crucial for your defence to be as up-to-date and knowledgeable of current threats. Paid antivirus software will also see advanced Behaviour Monitoring. This is what allows your antivirus to respond to these zero-day threats by looking for unusual patterns of behaviour on your machine. If a file or piece of software is found to be behaving in a way which is not expected, the antivirus can immediately isolate it and flag it for further investigation. This will potentially cut off an attack before it begins. So, you really do get your money’s worth! Which is the best antivirus program for Mac or PC? Now, that is the question! Perhaps not surprisingly, only you will be able to work that one out. It will come down to a combination of things, mainly including your budget and preferences. We have an extensive range of great antivirus software for you to download. It doesn’t matter whether you’re looking for the best, free, or business antivirus software – we’ll have something for you! We regularly review different antivirus programs to help you understand which ones are worth installing. We even have a dedicated antivirus page for everything you need to know. Find all of FileHippo’s Antivirus Software Reviews and Guides here.